Basharat Ahmed dismissed the accusations and said the demonstrators want members of his sect to be officially recognised as non-Muslims. Ahmadiyya writer Basharat Ahmed’s speech at the 12th Akhil Bhartiya Muslim Marathi Sahitya Sammelan in Pune on Friday was cancelled because of protests, the Hindustan Times reported on Saturday. The demonstrators claimed that Ahmed’s views were heretical and critical of Islam. 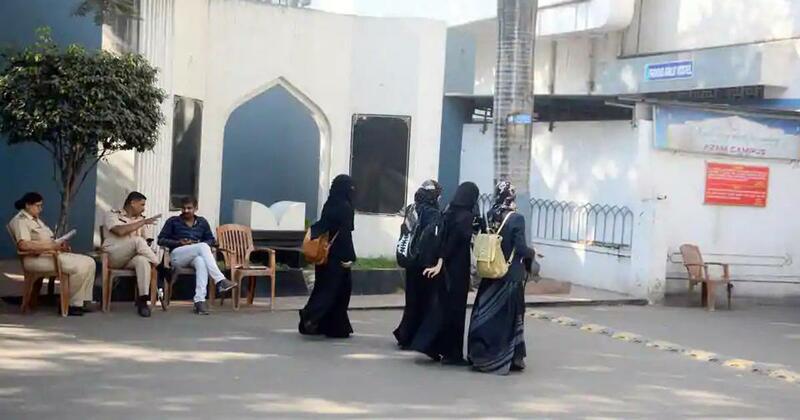 Police Inspector Chandrakant Bhosle told the Hindustan Times that the police have put up a notice under Section 149 of the Indian Penal Code – which relates to unlawful assembly – at Azam Campus, where the event was scheduled to take place. “The Muslim community members had an objection to the speech of Ahmed and they voiced their protest,” he said. “The organisers have told them that Ahmed’s speech has been cancelled.” The police have not registered a case against anybody, he added. A protestor identified as Zahed Bhai, who led the demonstrators, claimed that Ahmed insults the Islamic faith. “We had informed the police much earlier and had given a complaint about it,” he said, adding that the organisers should not have invited Ahmed. Ahmed dismissed the allegations against him. “I belong to the Ahmadiyya sect which is officially recognised as non-Muslims in Pakistan,” he said. “The protestors want the same rule to be applied here in Pune. I deny all the allegations made against me as I am a religious person.” He said the organisers of the conference and the police advised him to stay away. Pune Mayor Mukta Tilak, state minister Girish Bapat, Muslim Rashtriya Manch Pune chief Latif Magdum and several scholars of Islam spoke at the conference. What is the difference between India and Pakistan? Indian Muslims would like Ahmadi-Muslims to be treated in India in the same way as they are being treated in Pakistan. (may be with some exceptions?). On the other hand: no arrests. In Pakistan the Ahmadi-Muslim would have been arrested and charged with blasphemy. May Allah save both countries from the Mullahs.